Learn how we can help you go beyond traditional wealth management to support your life and legacy goals. At The Private Bank, we understand that wealth management is not just about money. Our advisors can help your family engage in essential conversations surrounding shared values, the preparation of heirs, and family decision-making processes. Strengthen relationships, enhance communication, and clarify your values for a strong wealth plan. Parents of Affluence: Blessing or Curse? 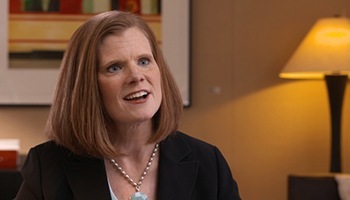 Katherine Dean, Head of Family Dynamics, shares insights on how families can take an intentional approach to managing the human elements of generational planning. Family Dynamics is planning at the intersection of the financial and nonfinancial elements in your life. Family Dynamics helps you to address the intellectual, cultural, social, emotional, and interpersonal relationship aspects of managing wealth. Research shows that 70 percent of wealth dissipates by the 3rd generation due to a lack of family communication and trust, a lack of preparation of heirs, and not having a family mission statement in place.1 Our advisors can work with your family to help mitigate risks to your wealth goals and legacy, and develop a comprehensive plan backed by a shared family vision. 1. Source: Williams, Roy & Preisser, Vic. "Preparing Heirs; Five Steps to a Succesful Transition of Family Wealth and Values, 2003"
Creating a clear path for your financial future.